You’re Invited! Mouse’s Surprise Party is today, but Owl’s glasses are broken. 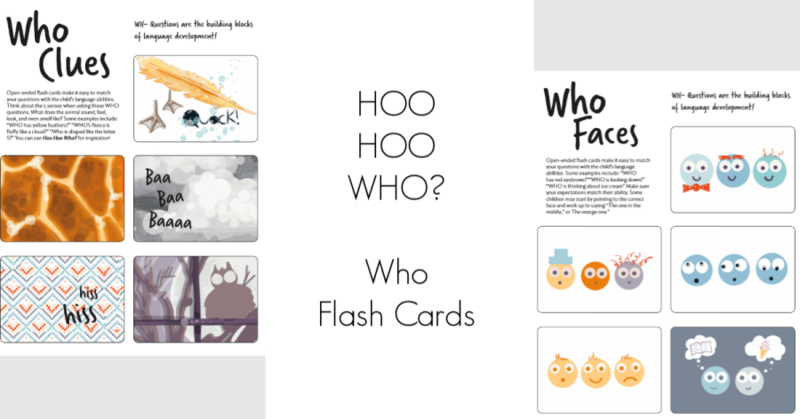 Can you use the clues to help Owl figure out which guest is at the door? Hoo hoo who could it be? 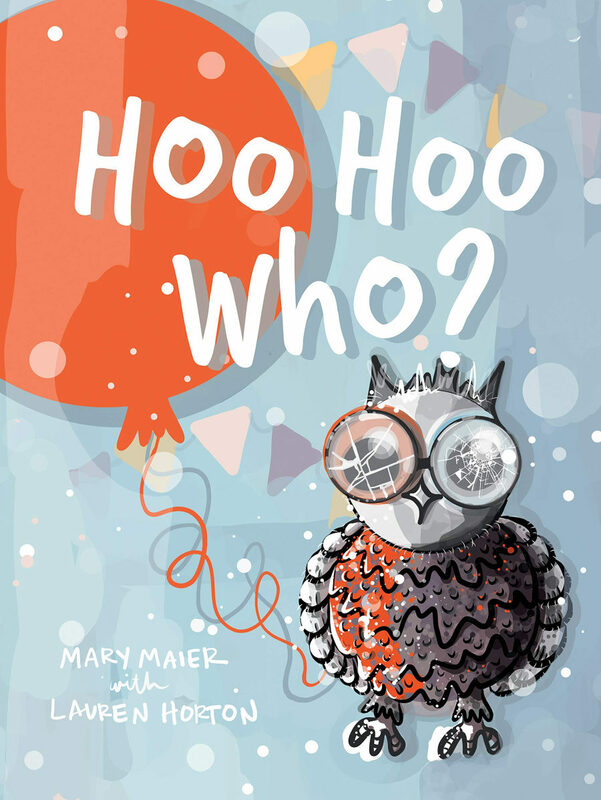 Coming Soon: Hoo Hoo Who? 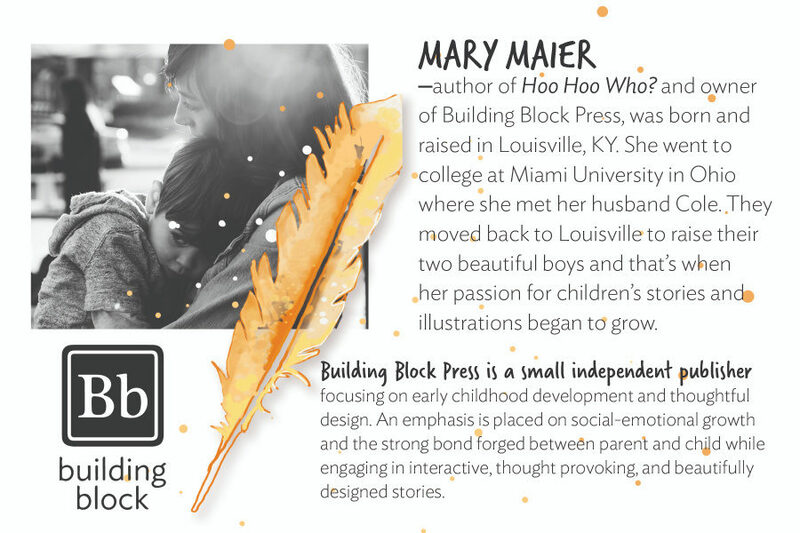 will be followed by titles focusing on “WHERE” and “WHAT”, and is the first title from Mary Maier’s new publishing company Building Block Press, a publisher of books focusing on early childhood development and thoughtful design. 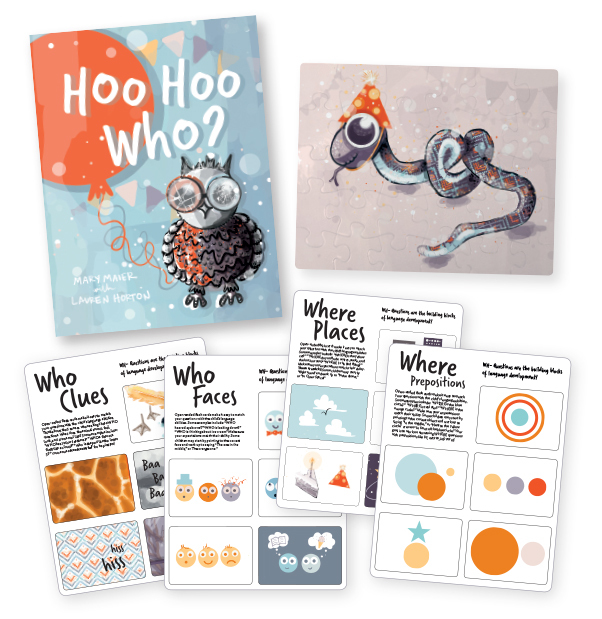 Enter to win a copy of HOO HOO WHO? 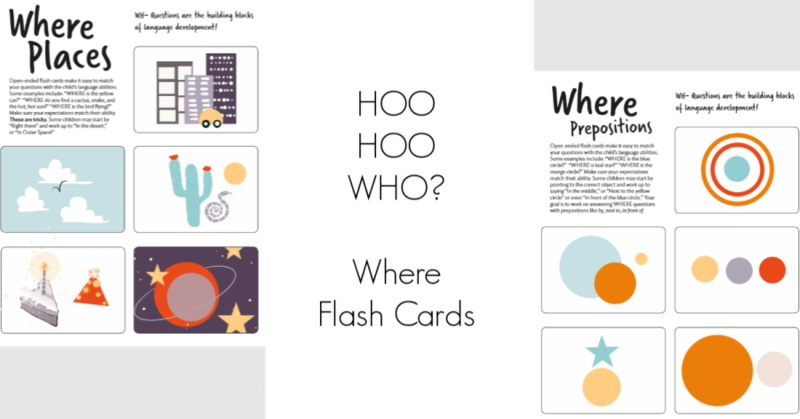 by Mary Maier + custom puzzle and flashcards below. Giveaway open to US addresses only. Must be 18+ or have parents permission to enter. Only one entry per household allowed. Prizing and samples provided by Building Block Press. 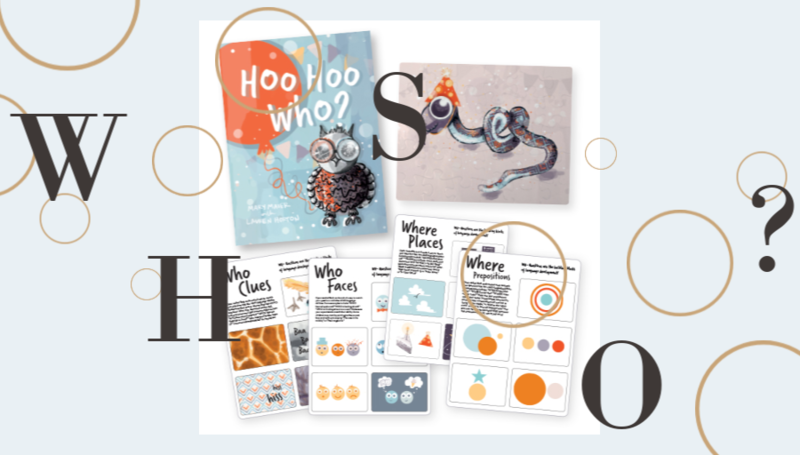 Giveaway ends March 7, 2019. Visit Giveaway Terms & Conditions for additional details and rules.